The steady growth of the trade fair and many satisfied exhibitors demonstrate that positive development can also be expected in the future. Effective immediately, companies can apply to exhibit at transport logistic 2019 in Munich. The new key visual also provides positive perspectives, and the industry is now delivering all the way into space. “The continuous growth of the past few years, the success in 2017 and the current economic situation make us optimistic for 2019,” Dr. Robert Schönberger explained, head of the transport logistic project group. “We have planned room for further growth in any case.” The positive feedback from exhibitors in 2017 and the high level of interest in returning to the fair also confirmed the good outlook to the fair team. Now it's up to the companies: You can now apply on the website to participate as an exhibitor. 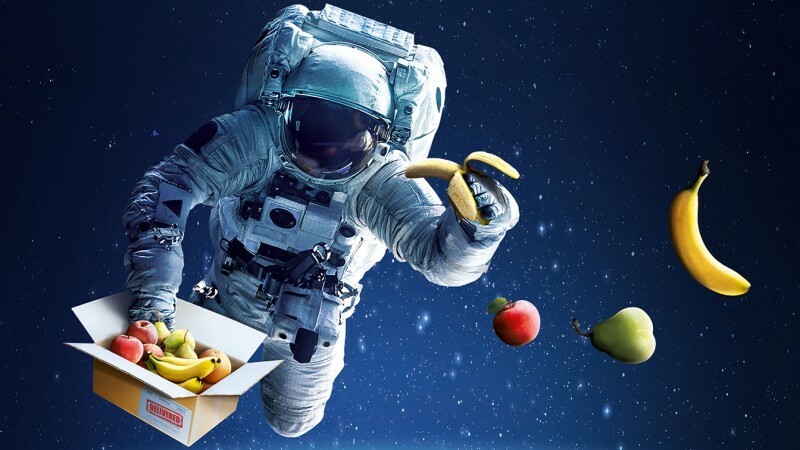 Logistics makes many things possible, and now transport logistic even has fruit delivered into space—at least in its new key visual with a twinkle in the eye and line with its motto “LOGISTICS makes it happen!” In previous years, deliveries were made to remote places in Nordic ice and to a mountain hut.